Nine Network kicked off 2016 with a bang! See what has happened in the past month below. 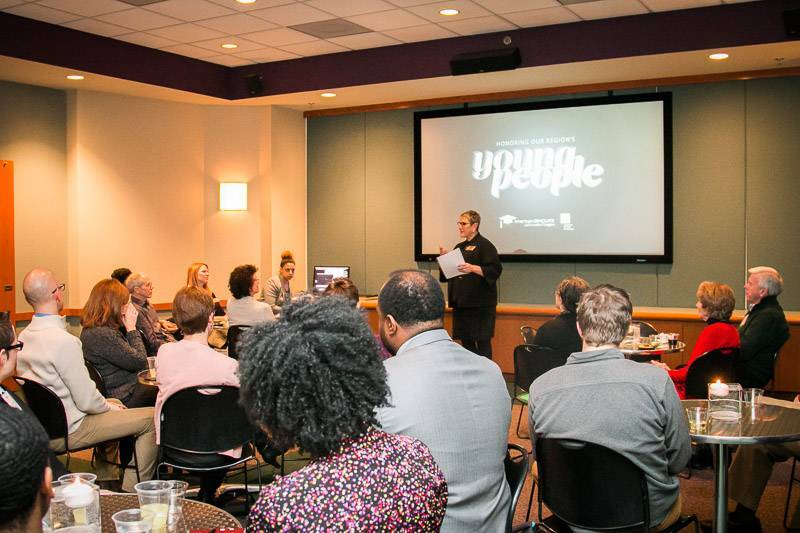 At the end of January, Nine Network hosted “Honoring Our Region’s Young People,” an American Graduate event that brought community members together to watch sneak previews of our upcoming youth-centered content and learn more about the American Graduate initiative. During the event, Marlon Wharton, co-founder of Gentlemen of Vision, was also recognized as an American Graduate Champion. Nine’s American Graduate interns hosted a culminating event in January to showcase their work to school leaders, fellow students, and other community members. During the Fall 2015 semester, the interns focused their efforts on informing Nine’s content around school suspension. They participated in a week-long course in video production and used the knowledge and skills gained to produce #ProjectSuspension, a five-part web series that included interviews about local suspension rates with various community members, including staff from the St. Louis Metropolitan Police Department and Ready by 21.